Bhubaneswar: The fourth edition of TEDxKIITUniversity 2019 will be hosted in KIIT Deemed to be University, Bhubaneswar on 31st March, 2019 with the theme – “Right Angle of the Clock”. Speakers of national and international repute will come together at a unified platform and share their mantra of success, telling the audience that it is only through determination and perseverance that one becomes a voice of the crowd, from being a voice in the crowd. Under the motto “Ideas Worth Spreading”, the conference, in its three previous editions, aimed to excel and set a benchmark that can only be surpassed and not descended from. Progress is impossible without change, and only those who accept change, spark the radiance of betterment in the world. A TEDx event is a local gathering where live TED talks and videos recorded at previous TED conferences are shared with the community. 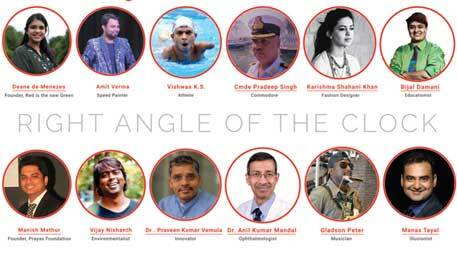 The speakers and performers for the 2019 edition of TEDxKIITUniversity include Karishma Shahani Khan, Vijay Nishanth, Bijal Damani, Commodore Pradeep Singh, Anil Kumar Mandal, K.S. Vishwas, Dr. Praveen Vemula, Deane de Menezes, Manish Mathur, Peter Gladson, Manas Tayal and Amit Verma.